This week holds two significant opportunities to care for our common home: World Water Day and Earth Hour. There are six different ways below that you can take part in these events. Clean Water for All: CanadaClean water is a human right. Yet more than 100 First Nations across Canada face drinking water advisories, meaning the water coming out of their taps may be unsafe for drinking. Many communities have faced these conditions for years, or even decades.The federal government promised to end drinking water advisories in First Nations within five years of being elected. In response, a coalition of organizations led by the David Suzuki Foundation has begun to monitor federal progress toward ensuring clean water. We started with First Nations in Ontario, the province with the highest number of advisories.Our research shows the government is not on track to fulfill its commitment. If you have not yet signed this petition, please do so here. Tell US EPA Make Lead Removal & Safety a PriorityFlint, Michigan has dominated the news when it comes to lead — and rightly so. The abject failure of the local, state and even federal governments to warn citizens and take action has had enormous effects on residents. It’s caused untold damage to the development of Flint’s children that we won’t even be able to know for decades. But lost in this tragedy is that Flint is not alone. It’s not even unique.In Washington D.C., where I live, a professor found lead levels 83 times the legal limit in the city’s drinking water in 2001. Just a few months ago, researchers found nearly eight percent of children in the Fruitvale neighborhood of Oakland, California had elevated lead levels in their blood. That’s higher than in Flint.Flint, DC, and Oakland are just three of nearly 3,000 communities in the United States coping with lead poisoning. Lead is clearly a widespread problem that demands a national response, yet government agencies are still just reacting to crises as they jump into the news. Often, the only way it makes the news is if high lead levels are found in children’s blood  after the damage has already been done.Children should not be our canaries in the coal mine. We know lead poisoning is a risk everywhere. It’s time for the EPA to step up and make abatement a priority, before we lose a generation of children to lead poisoning. 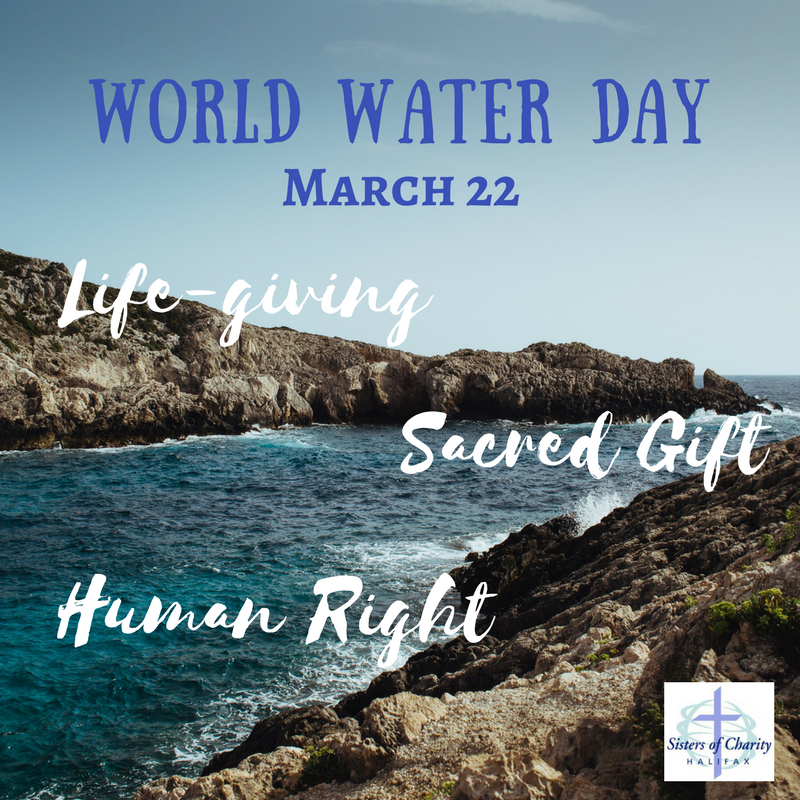 Remind your friends on social media that water is a sacred gift and a human right. Use the attached World Water Day image and share what water means to you. Use this image and post on social media about Earth Hour. Encourage your friends and loved ones to take 60 minutes to raise awareness about climate change. The Roman Catholic-United Church Dialogue of Canada has prepared an ecumenical prayer service to help congregations, parishes, and other groups observe, in prayer and worship, the International Earth Hour which is taking place Saturday, 25 March 2017, at 8:30 pm. The resource, available in English or French, is entitled Earth Hour Vigil / Vigile « Une heure pour la Terre ». 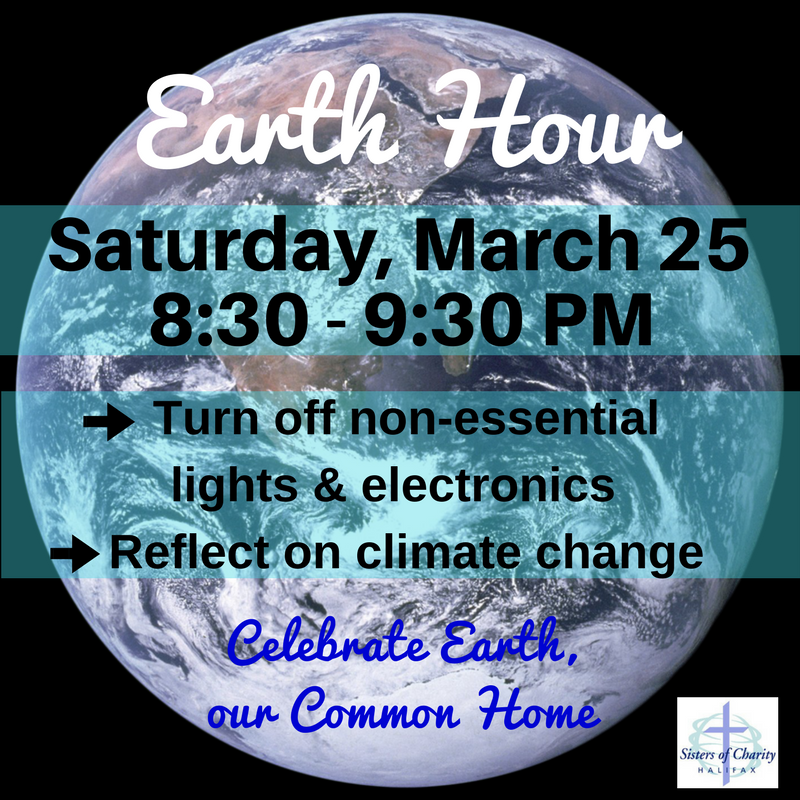 http://www.cccb.ca/site/images/stories/pdf/Earth_Hour_English.pdfThe prayer service is an optional resource for parish communities and other groups who may wish to engage with their local ecumenical partners in organizing a joint prayer service. The Roman Catholic-United Church Dialogue is sponsored by the Canadian Conference of Catholic Bishops and The United Church of Canada. The resource is being released in the name of the dialogue.